Chicago embodied the triumph of American industrialization. Its meatpacking industry typified the sweeping changes occurring in American life. The last decades of the nineteenth century, a new era for big business, saw the formation of large corporations, run by trained bureaucrats and salaried managers, doing national and international business. Chicago, for instance, became America’s butcher. The Chicago meat processing industry, a cartel of five firms, produced four-fifths of the meat bought by American consumers. 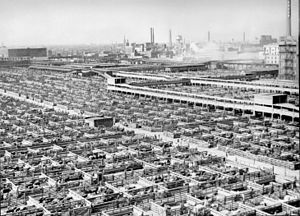 Kipling described in intimate detail the Union Stock Yards, the nation’s largest meat processing zone, a square-mile just southwest of the city whose pens and slaughterhouses linked the city’s vast agricultural hinterland to the nation’s dinner tables. “Once having seen them,” he concluded, “you will never forget the sight.” Like other notable Chicago industries, such as agricultural machinery and steel production, the meatpacking industry was closely tied to urbanization and immigration. In 1850, Chicago had a population of about 30,000. Twenty years later, it had 300,000. Nothing could stop the city’s growth. The Great Chicago Fire leveled 3.5 square miles and left a third of its residents homeless in 1871, but the city quickly recovered and resumed its spectacular growth. By the turn of the twentieth century, the city was home to 1.7 million people. Read the rest of Chapter 18 from the American Yawp. How did mass transportation affect cities? How did it affect industrialization? What factors led to urban in-migration from the countryside? Why did immigrants leave their countries and come to America? Describe the relationship between inner cities and poverty. What types of housing problems did cities face? Did reform efforts help? Discuss the emergence of the Jim Crow Laws in the American South. How did technology reshape the American economy? Be sure that you can offer specific examples. Describe the role played by political machines, such as Tammany Hall in New York, in the new cities of the Gilded Age. How did the south attempt to redefine the meaning of the Civil War after Reconstruction? Was it successful? Why or why not? How did the economic and social changes of the late-nineteenth and early-twentieth centuries challenge traditional gender norms? 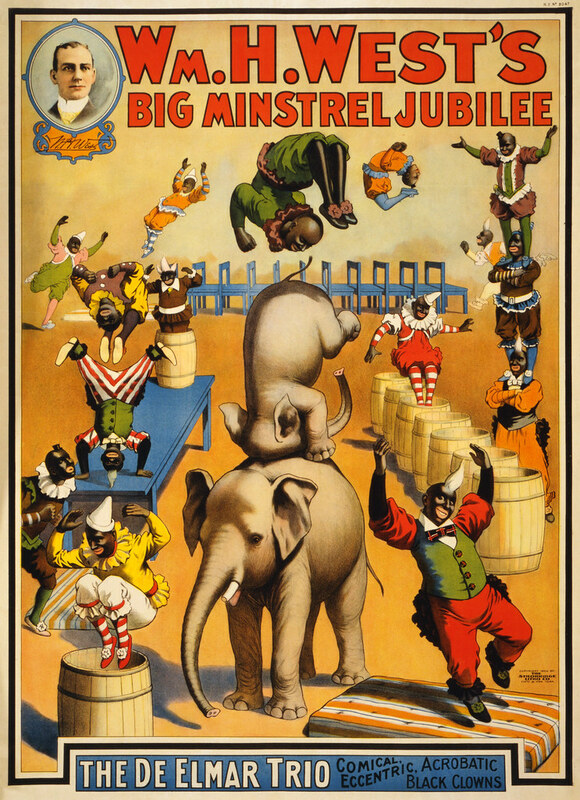 Why was the development of the leisure and entertainment industries so important for urban life? What impact did they have on urban dwellers?